Reason for me to write this piece is, I thought someone accidentally sent me 20 steems. I was at the office desk doing my work, and suddenly saw my Steem value increased. Nope. 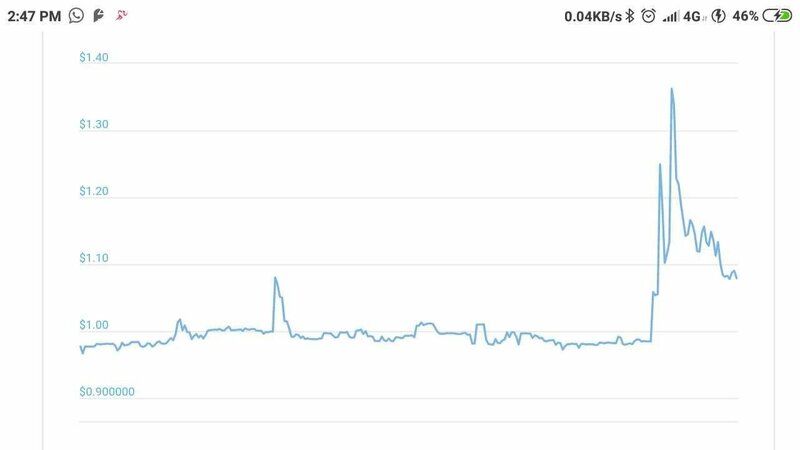 It looks normal to me, may be like 1% up? Why was there a trigger on my sell Steem price at 0.45? Hence I scroll down further. Woot! There's a spike of close to 30% on SBD for a very short moment. That's when my order got triggered. 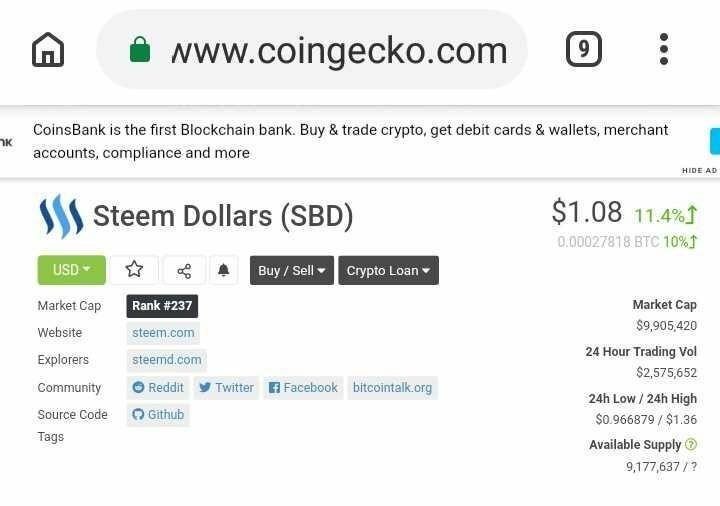 My point is, I wouldn't know when is the best time to buy Steem. Neither do I know if it will depreciate. But then again, who am I to decide where the price will head to? If you feel the price is not right, just park it away and forget about it. 10SBD would not make me richer over night, parked it away it is still in the market I can take them back anytime. But if I sell it, that will be different story. I will have a hard time trying to get back in. There's no direct exchange which I can put in my fiat and convert them to steem. Am grateful for this 4 extra steems over the trade. I hope you're happy with my SBDs at the agreed price. I HODL, either of them as long as crypto. Let the market be our guru, park and walk away. Someday you'll see them back in to the wallet. It's like finding pennies in the sofa. You don't really know where you got them (at first) but you're glad you got them. Exactly! Thanks for being a reliable price reference , like forever! Eh… jangan tuan saya. Kita kawan. I've been converting my sbd each day, assuming the steem price would rise and not sbd. But I think I will start doing as you are and put them in the market at the higher price to see what happens. When I need the money, if it has not sold, I will cancel and go with the current price. I guess we might soon know if the upside peg will hold. It's always something in this place. Been awhile already since you join #teammalaysia 😎 stopped for a few months as my delegation got took away, until recently my SP backed up a little, and the upvote can sustain again. Keep up the good work, I did went and read you post, as in yesterday morning the Bangkok post 🙂 I didn't comment simply because I can't find anything that might engage you. I don't want you to think that I'm a bot or farm for vote kind a spam commenter.